The auto inkjet printer is one of several oil bottling machines offered by KMEC. KMEC's auto inject printer employs an efficient gear pump, highly integrated circuitry, and a sealed ventilation system to ensure the machine's long-term operability. 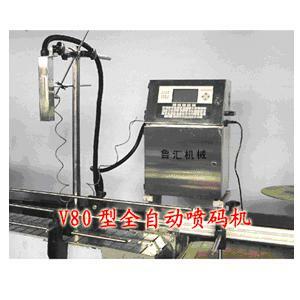 It automatically performs tracking monitoring and adjustment. Labeling details can be directly edited using the keyboard, and special software automatically prints the date, time and batch number. Script height can be adjusted to between 1.5 and 15 millimeters, applicable to up to three lines.